Leelin Bakery & Cafe Goes Nationwide! Earlier this year, we set out on a mission to launch an online store to be able to bring some of the customers' favorite baked goods nationwide. Two weeks ago, it launched! Some of the products we offer are the Buttered Biscotti, French Sponge Cakes (Mamon), Supreme Brioches, Ube Loaf, and Hopias. We want to thank all of you for your continuous support! We've had many orders already and we received a lot of great feedback! It's an exciting step for us as we move into a new field. 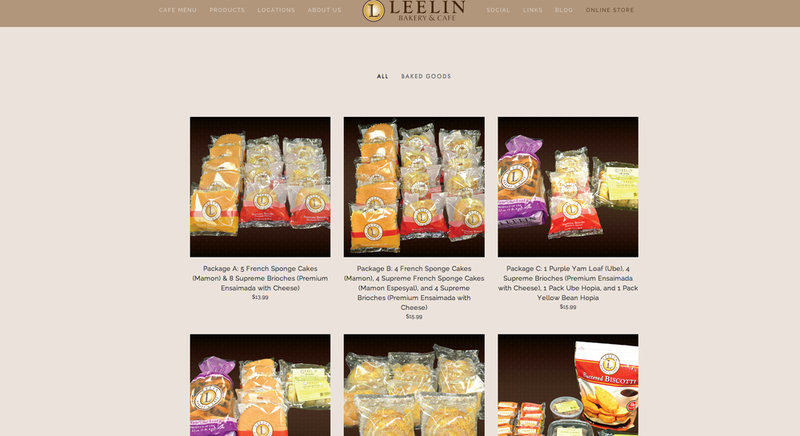 We've designed our packages online to fit in a Leelin Bakery & Cafe box so it'll be much easier to ship. We wanted to avoid having any items tossed around in the inside of the box. Our shipping carrier of choice is USPS. We ship all of our products via Priority mail to ensure you receive your products as fresh as can be! It is also the cheapest shipping service we can provide for you. We've been working on getting an Online Store set up and we'll soon be able to offer a lot of our delicious bakery items to be shipped nationwide! There have been several inquiries on getting our items shipped out to different parts of the country, and we feel that this Online Store is needed!